We offer a wide range of custom made steel and wooden trellises to soften high boundary walls, screening off unsightly items or dividing areas in your garden to create special effects. Our trellises are made from CCA treated Saligna laths or Wattle and painted with a bee wax product to ensure an extended lifespan in our harsh whether conditions. 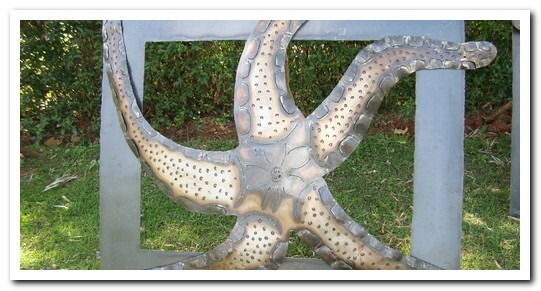 Our custom made steel trellises and wall plaques, with different designs, do create a different atmosphere in certain areas or draw your eye to a place that needs to be emphasized. 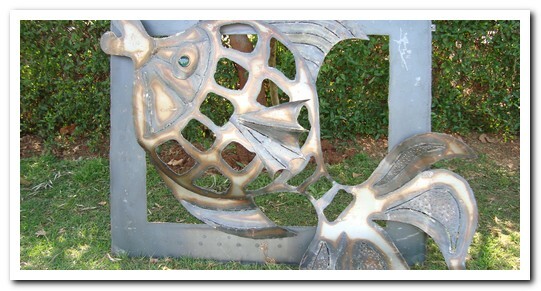 These unique steel products are not commonly found and make it really special to have in your garden.